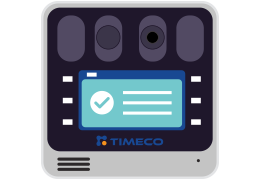 TIMECO offers digital solutions for workforce management and data collection with integration to payroll and HR systems. If you want to keep clients, then you must keep them happy no matter what the request. We are committed to going above and beyond for our clients. Speak to one of our representatives today. Coming together is a beginning, keeping together is progress, working together is success. We look forward to achieving SUCCESS with your company. We tailor to suit the needs of almost any market. 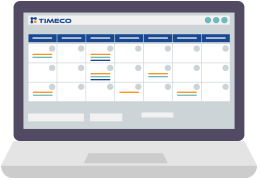 From Resorts and Golf Clubs — that need robust scheduling, budgeting, biometrics, reporting — to Health Care — that needs on-call, premiums, complex rules calculations, and telepunch — be assured that TIMECO can meet your needs. 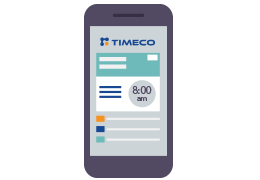 TIMECO is the perfect solution for any size business. 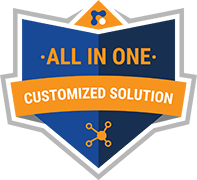 Our time and attendance solutions will help your business cost effectively manage and optimize the time and labor resources of your employees. 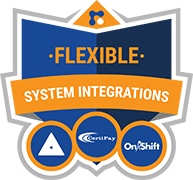 This system seamlessly integrates with your existing HR and payroll application to eliminate manual processes and increase your bottom line. Add up to 16 dashboard items to get the exact view you want. Each component is configurable. With Team Punch and other global features, a supervisor can batch approve, update punches across locations and groups, and email their employees quickly from one place. Supervisors can see all employees at once, and whether there are any missing time punches or exceptions. 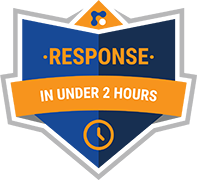 Our mobile app uses a standard punch clock interface. Different colors indicate what has been modified by your workers. Leave requests are a breeze, whether from the employee or the supervisor. Employees can request leave or time off and see how many PTO, sick, or vacation days are left. Geofencing makes it simple to see when people are inside or outside relevant areas by pin colors.